Behind The Thrills | Expanded Boysenberry Festival Returns to Knott’s This Spring! Expanded Boysenberry Festival Returns to Knott’s This Spring! Expanded Boysenberry Festival Returns to Knott’s This Spring! Much like the Food and Wine, the Boysenberry Festival has become an annual event that draws out the biggest, most die-hard foodies from throughout California. Dedicated to the park’s history of discovering the Boysenberry on property. The Boysenberry Festival offers dozens of delectable Boysenberry inspired drinks, dishes and deserts that park guests can sample during their stay on the Farm. This year promises to be bigger than ever as the event will now run a whopping 3 weeks! Have unique character opportunities and entertainment for fans in addition to the food and drink. This spring, join Knott’s as it celebrates the flavorful berry that started it all, the boysenberry, during the much anticipated Knott’s Boysenberry Festival. For the first time ever, the mouthwatering festival is expanding tothree weeks, April 1–April 23, with delectable food and drinks, and festive live entertainment. The 23-day food festival features over 70 one-of-a-kind boysenberry inspired dishes, drinks and more, plus foot-stompin’ entertainment, Wine and Craft Brew Tasting Garden, featuring boysenberry and wine, and family fun that everyone will love! For festival goers with a hankerin’ for some live entertainment, the options are endless with live music throughout the park, a nighttime dance party, and brand new shows like, Snoopy’s Boysenberry Jamboree at the Calico Mine Stage. Calico Park in Ghost Town is home to a good ol’ fashion hootenanny featuring pie eating contests, line dancing and country fair festivities with the local Ghost Town townsfolk. 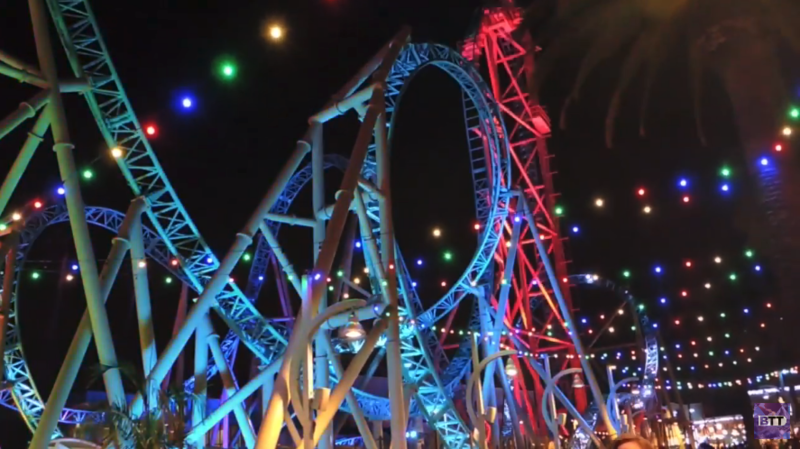 The limited-time festival is included with admission to Knott’s Berry Farm. The year was 1920 when Walter and Cordelia Knott moved to the community of Buena Park Calif. to farm 20 acres of rented land which included harvesting, and selling the first boysenberry, a cross between a loganberry, red raspberry and blackberry, and named the new berry after its originator, Rudolph Boysen. Today, all boysenberries in the world can trace their roots back to Knott’s Berry Farm. For 2017, the mouthwatering line-up of boysenberry inspired dishes will feature irresistible boysenberry pizza made with arugula and goat cheese, the unforgettable and delicious newravioli dish packed with boysenberry flavors, freshly-baked boysenberry fry bread and lip-smacking corn on the cob with boysenberry butter and mayo, each dish will leave guests wanting for more. Other must try items include crispy deep fried alligator bites paired with farm-made zesty boysenberry aioli, finger-lickin boysenberry BBQ wings, savory boysenberry meatballs,sweetboysenberry cream soda, creamy chocolate covered boysenberry cheesecake on a stick and many more delicious treats. Additional fee for tastings. Guests who want to take home the exquisite Boysenberry BBQ sauce, Boysenberry Butter, Boysenberry Dressing and Boysenberry Chipotle Sauce can do so by stopping by the Berry Market located in the California MarketPlace and General Store located in Ghost Town. Select items are available on the online Berry Market store. Guests can purchase boysenberry inspired products throughout the winding streets of the Old West at the Crafts Fair. This year’s boysenberry products include boysenberry soap, lip balm and the devilishly good rock candy. Festivalgoers can also watch special demonstrations including a chainsaw wood sculpting, glass blowing and blacksmithing. From day to night, Ghost Town has never looked so lively. This year, in honor of the famous berry, Ghost Town’s Town Hall will feature a fascinating film which shares the story of how Walter and Cordelia Knott settled here in Buena Park and helped the world discover the amazing boysenberry. Guests can pull up a seat and catch a 10-minute showing of the historic film offered exclusively during the festival. The Knott’s Boysenberry Festival also features an extensive line up of live entertainment. Join Snoopy, Charlie and the entire Peanuts gang as they present an all new interactive, musical revue called Snoopy’s Boysenberry Jamboree! at the Calico Mine Stage. This new show will have families singing, dancing, and playing along with the beloved Peanuts characters and talented performers during the whimsical, high energy celebration of springtime. Country music and the aroma of deliciously good food will fill the air as the Ghost Town Miners take the stage in a fun, musical performance at the Firemen’s BBQ stage. Just across the Fireman’s stage, the Legendary Bird Cage Theatre pays tribute to Knott’s past; for the first time in over 20 years, the theatre will be the home of musical comedy melodrama, with a special presentation of the Old Time Melodrama. America’s longest running Melodrama returns with an original, interactive, comedy with a surprising boysenberry twist! In the evening, a group of krazy talented performers will have guests kicking up their heels with vine dancing, a down home jug band and dueling fiddlers and banjos! At the Wagon Camp stage, get krazy when Krazy Kirk and the Hillbillies mount their toe tappin’, knee-slappin’, gut-bustin’ country comedy show that will have audiences clamoring for more! The fun continues with new additions exclusively for the Boysenberry Festival. Brand new this season, The Old MacDonald Petting Zoo pays tribute to one of Knott’s original attractions. Young ones and young at heart are invited to cozy up to the cutest critters on the farm including horses, sheep, goats and other furry friends. Springtime fun has also taken root in Camp Snoopy and Fiesta Village. During the limited-time event, the whole family can meet the Easter Beagle at his Camp Snoopy home, blooming with colorful springtime décor. 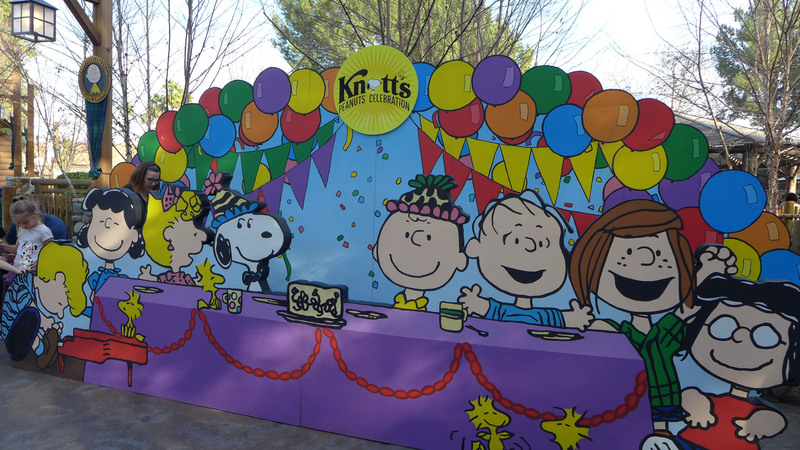 The meet and greet location is the perfect place for shareable moments with the boisterous beagle and his friends – Charlie Brown, Lucy, Sally, and Linus. Camp Snoopy Theatre will showcase the PEANUTS pals singing, dancing, and sharing stories for all to enjoy. Everyone in the family can join in the Camp Snoopy activities. The theater will be filled with the sweet sound of little ones as they singing-along to the cheerful tunes! 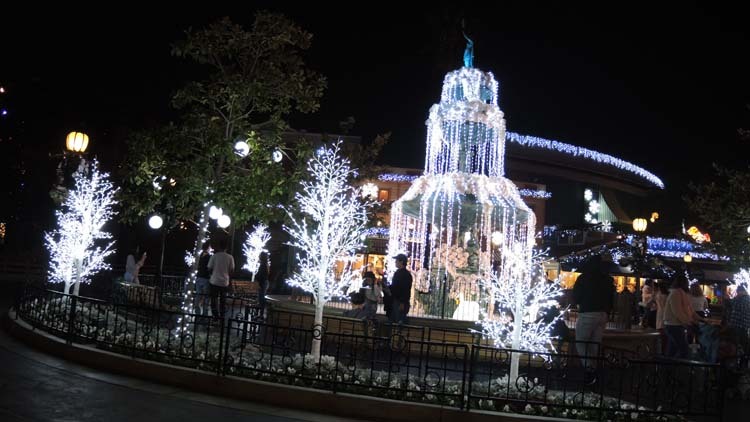 Guests don’t have to be experts at dancing to enjoy a nighttime Fiesta with DJ Cruz in Fiesta Village. The night comes alive with music and dance as everyone will be sure to take to the floor and dance to the rhythmic beat of popular music. It looks like the 2017 Boysenberry Festival has enough to keep guests busy with the food an entertainment alone. Throw in some roller coasters, and snoopy and you’ve got yourself one jam packed day at the farm. For a look at our coverage at last year’s event be sure to click HERE. This is going to be a very busy year at Knott’s so stay tuned for more from Knott’s Berry Farm, and be sure to get social with us on Facebook and follow along with us on Twitter @BehindThrills for the latest updates! For more information about Knott’s Berry Farm or to purchase tickets, visit the official website by clicking here.